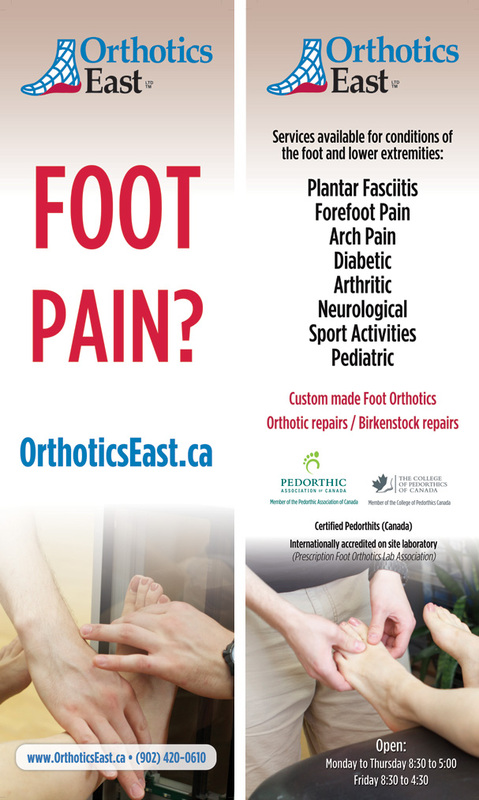 Orthotics East located on Main Street in Halifax NS required some street signage to inform and attract customers to their second floor location. Eastwood Design designed 2 large 6' signs that attract customers at street level. These perforated cling signs stick directly to the street front entrance and allow you to see through them while on the inside allowing the entrance to remain lit.